Police say the man shot during a home burglary Wednesday in Mantua is the son of imprisoned abortion doctor Kermit Gosnell. 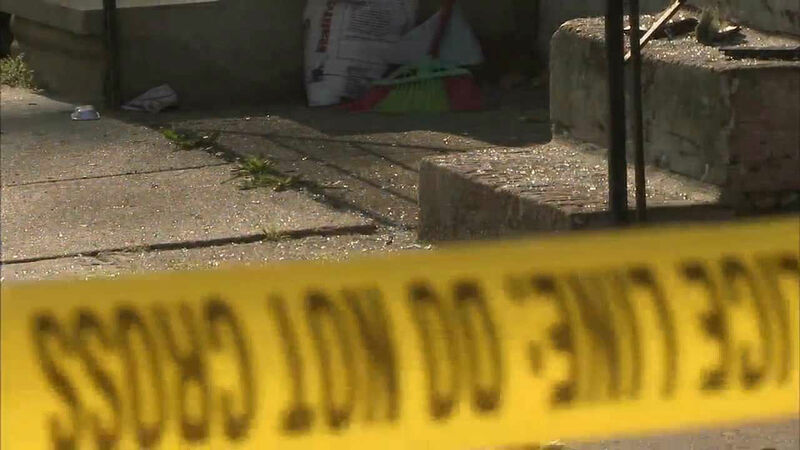 MANTUA (WPVI) -- Police say the man shot during a home burglary on Wednesday morning in the Mantua section of Philadelphia is the son of imprisoned abortion doctor Kermit Gosnell. 22-year-old Barron Gosnell Alexander - who formerly changed his name from Barron Alexander Gosnell - was shot by a resident in the home in the 3700 block of Brandywine Street around 7 a.m., police said. His father Kermit Gosnell was found guilty of first degree murder in the deaths of three babies who were killed after being delivered. He is currently serving multiple life sentences. Neighbors described seeing the suspect running out of the house, stumbling and collapsing on Brandywine Street. Investigators tell Action News that a college student, a graduate student and a recent college graduate all lived in the home. According to police, Alexander broke in through a back bathroom window, trying to steal electronics and cash. One of the residents reportedly woke up and confronted him. A struggle ensued and that's when a second resident ran downstairs with the gun and opened fire. Police say the resident does have a permit to carry. Action News spoke to a friend of the three men who lived there. He says the resident who opened fire felt like there was no other choice. "He said the guy broke into the house and he shot him in self-defense and that's pretty much all I know," said Pat Bowden, friend. "He starts yelling to the male, 'Stop! Stop! Stop!,' he doesn't stop, he continues struggling then he fires three shots, striking the defendant," said Lt. John Walker, Philadelphia Police. Neighbors described seeing the suspect running out of the house, stumbling and collapsing in the street. Alexander was shot 2-3 times and remains at the Hospital of the University of Pennsylvania in critical but stable condition. Action News has also learned that Alexander's mother is Pearl Gosnell who is also Kermit's wife. Alexander and his mother live just a few houses away from the burglarized home. Police say they found some stolen items in her backyard but that Pearl, who was home and the time of the burglary, has been cooperating with authorities. Alexander is being charged with burglary, robbery, and aggravated assault. The resident who shot him was questioned and quickly released.